Secondary Armament 1 x .50 cal M2HB Heavy Machine Gun (AA Mount). Armour Upper Hull Front: 51mm. Notes: Cast hull front / welded sides and rear. M4A3E2 (Jumbo): See Heavy Tanks Section. M4A5: Used For Canadian Ram Tank. M4A6: Production Cancelled Only 75 Made from October 1943. Main Gun: 105mm L/22 M4 Howitzer. Notes: No gyrostabilizer / manual turret traverse. Main Gun: 105mm L/22 M4 Howitzer and New Suspension. Notes: New suspension and powered turret. Main Gun: 76mm L/55 M1A1. Notes: High velocity 76mm gun and wet storage. Main Gun: 76mm L/55 M1A1 Gun. Notes: Wet storage and new exhaust. Notes: New suspension, turret hatches and crew seating. Notes The M4 Sherman was the work horse of the U.S. tank arm. The idea of mounting a 75mm gun in a fully revolving turret had been top of the list for the US army’s requirements for a new battle tank. 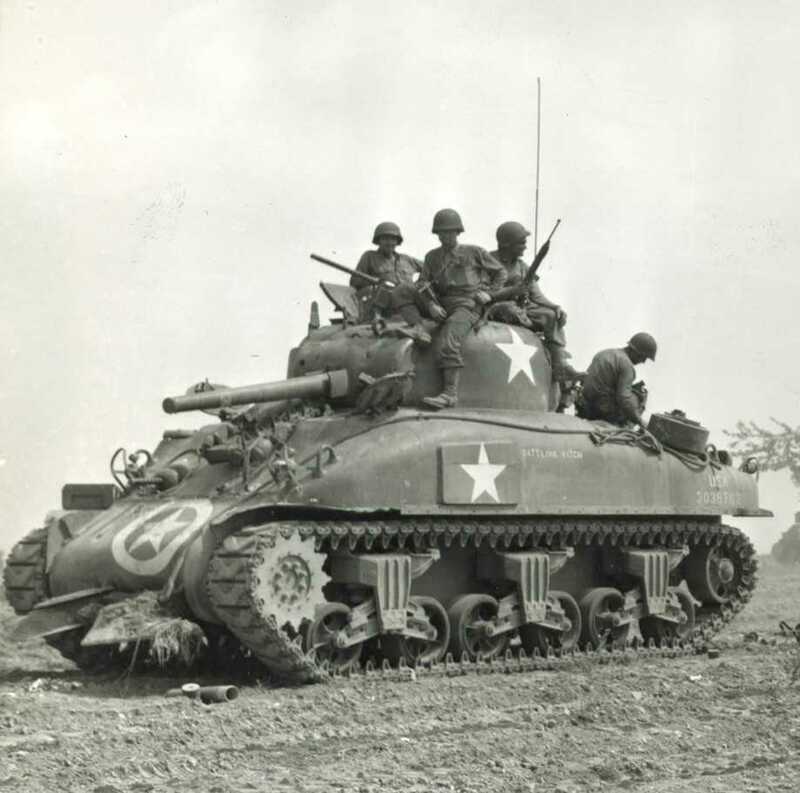 The M4 was not only a reliable tank but was easy to manufacture and easy to maintain in the field. The M4 was outclassed by the heavier German Panther and Tiger and later models were up-gunned with a 76mm gun to give more punch. It went through many up-grades and different models. The M4 also provided the British with an AFV capable of taking on the German Mk IIIs and IVs on equal terms with the first being available in time to see action at the battle of El Alamein. Russia too received many M4s via lend lease. The M4 was still in use during the Korean War and served alongside the new and heavier Pershing’s and Patton’s and also formed the basis for so many conversions.